In Summary: “During this time of our nationwide election, we wish that you will elect leaders who will listen to your concerns. Avoid leaders who make unattainable promises,” (Kabaka Ronald Muwenda Mutebi II). As we celebrate the birth of Jesus Christ this year, we wish to congratulate you on overcoming all the challenges you faced. We thank God on behalf of those who received good fortune and we express our sympathy to those who suffered misfortunes, especially loss of relatives and friends. This year emphasis has been put on education, health and development. We can say that there has been some improvement in the above areas, but the uncompleted journey still remains quite long. The examples are many and include high unemployment among youth, poor healthcare quality and household incomes that fall far short of expectation. We thank all those who have worked hard to build and properly maintain our facilities, especially in Kampala, the capital city. Buildings like Bulange, Masengere and Muganzirwazza all look beautiful. We encourage all people in Buganda and other people of goodwill to support timely completion of our tombs especially the Kasubi royal tombs, so that their original sacred honor and dignity is restored. We also welcome improvements to the Kabaka's Lake. In the coming year, we wish to see emphasis put on integrity of the home, civility, decency and other such values, which come from good homes; consequently youth raised from these homes will be good citizens. Every year we encourage our people to honor each other and, this time, we repeat to emphasize the same. During this time of our nationwide election, we wish that you will elect leaders who will listen to your concerns. Avoid leaders who make unattainable promises. 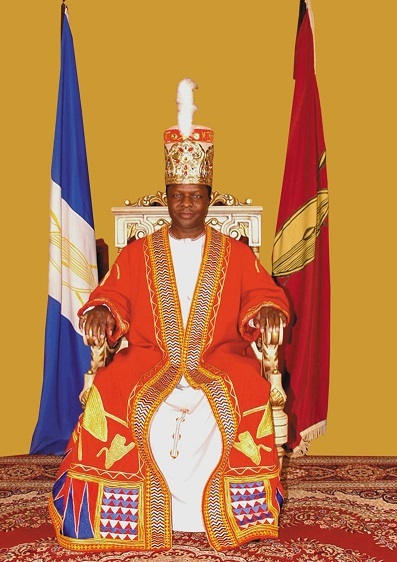 This is the English version translated from the official Luganda version and circulated in the Southwestern United States by the Kabaka representative to the region Dr. Abu Senkayi. Link to Ekitiibwa Kya Buganda—Buganda’s Anthem.